In a market where the turnaround for sequels is so quick, it feels like it's been a long time since Hiccup and Toothless first arrived on the big screen. By our reckoning, that makes How To Train Your Dragon 2 the most anticipated animated feature of the year by some distance. 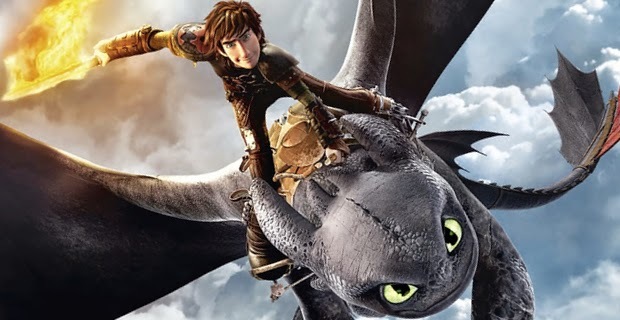 Young fans will have had the animated series Dragons: Riders Of Berk to tide them over, but assuming that many of us who loved the first film might not have got around to the series, we've been eager to see where the story goes next. At the start of the sequel, we find that around the same amount of time has elapsed in the story too. Five years on, the once-drakonophobic Viking folk of Berk have overcome their ignorance and fully integrated with the dragons, using them to imagine new sports, aid in their industry and crucially, explore the world. The now-teenaged Hiccup is dedicated to exploring, flying around atop Toothless and charting new territory, much to the frustration of his conservative dad and tribe chief, Stoick. In the course of his travels, he happens across dragon trappers who are working for the mysterious Drago Bludvist, who aims to use his mysterious power over dragons to take over the world. How To Train Your Dragon 2 is now showing, in 2D and 3D, at cinemas nationwide.